"Help Sonic stop Dr. Eggman's new evil plan in this classic adventure game." Once again, Dr. Eggman is making up new evil plans to mess things up. But, with Sonic in the picture, and you to help, you can help Sonic stop Dr. Eggman just like you have in the Sonic classic video games. 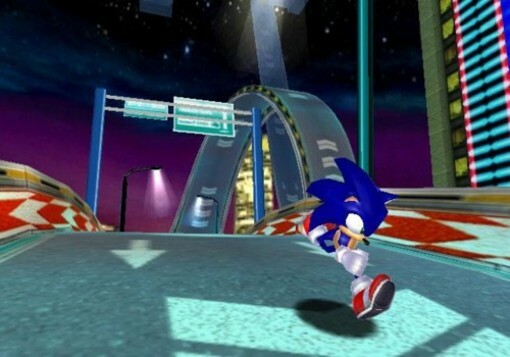 A whole new story with more to do and to see in Sonic Adventure DX, which you can try out for free right from here at Rocky Bytes. This game is a free demo of the Director's Cut version of the game. Sonic and his buddies work to stop Dr. Eggman's tricks right in his tracks. There are more than 50 new adventures available in this game, and you will be able to try out the game for yourself to see if you want to see more in this free demo. This game features and all new Mission Mode while you help to stop Dr. Eggman's evil plans to take over the world. While this game is quite old, it seems to have aged well. The graphics in this day-in-age can be considered sort of poor, but the game was released back in 2003. So, for back then, these are actually quite nice and appealing to the eyes. 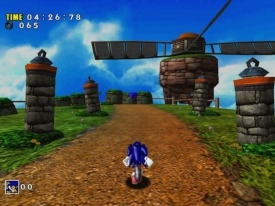 The gameplay is quite addictive, but much as you have expected in the past Sonic games, the gameplay is quite repetitive. However, the story is typical for Sonic, it is a good story to add to the series of Sonic games and if you are a fan of Sonic, it is definitely worth your time to try out this game, and even possibly buy it if you want. You have a variety of characters from past Sonic games you can choose to play as. What ever your preference is, the story is the same, but as with all Sonic games, and addictive story at that.